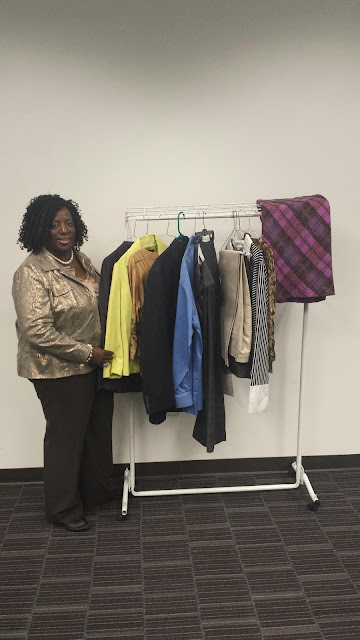 I recently visited my Alma Mater, Middle Ga. State University .I wanted to make a clothing and donation get a closer look at the Professional Closet, a wonderful on campus Thrift Store for Students. 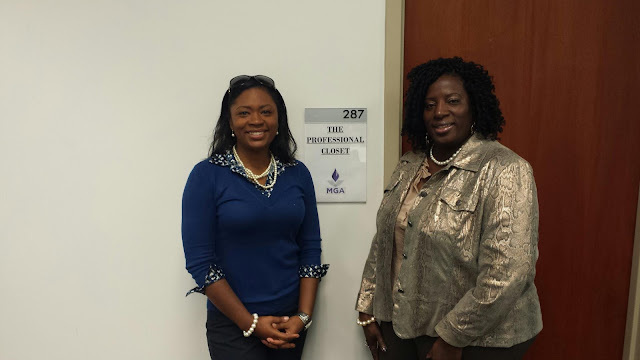 Dr. Loleta Sartin, an associate professor of Education and Molly Kimsey, lecturer in Education co-founded The Professional Closet in 2013 as a way to give Education majors access to business wardrobes they could wear to student teaching assignments. 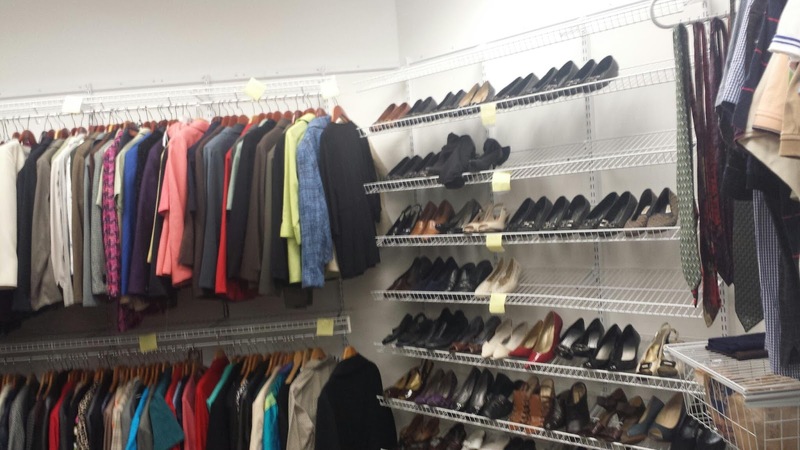 They quickly expanded the service to include all students, regardless of major, but staffing and space issues made The Professional Closet a hit-or-miss undertaking. 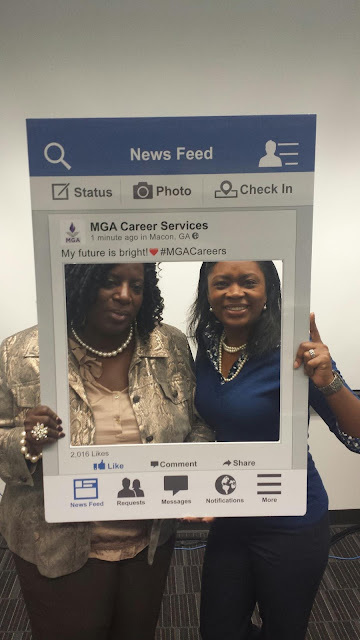 The service got a major lift when Dr. Melinda Robinson-Moffett joined Middle Georgia State as director of Career Services. Through her work with a national association of career services professionals, Robinson-Moffett knew how vital college and university Professional Closets are to helping students gain entry to the workforce after graduation. Another Professional Closet boost came when Ben Mullis, an MGA reference and instruction librarian, took an interest in soliciting donations of business attire for students from his Cochran civic club. 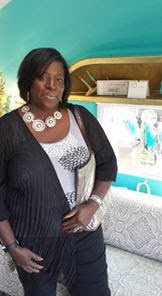 More support came from the Fiscal Affairs office, which agreed to pay for space modifications needed to set up storefronts in Macon and Cochran. New and gently used suitable-for-work clothing and accessories, including ties and shoes, are available for purchase to MGA students, alumni, faculty and staff through Career Services offices on the Macon Campus (Student Life Center, Suite 254) and Cochran Campus (Sanford Hall, Suite 112). 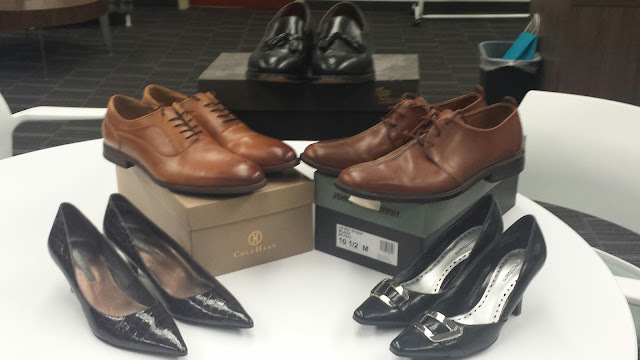 The cost of any single item does not exceed $5, and all proceeds are reinvested into The Professional Closet. Macon and Cochran campus storefronts will soon open. Students who need business attire in the meantime can call (478) 471-2714 for information. How the Public Can Help. Donations of new and gently used attire are welcome, and pickup can be arranged. The Professional Closet also accepts donations of laundry detergent, fabric sprays and hangers. Call (478) 471-2714. As a convenience, The Professional Closet also takes donations of non-perishable food items for the SHARE Pantry, a service of the Student Life office for students, faculty and staff. Call (478) 471-2714. Thanks For Dropping By The Blog! This blog was VOTED one of the Top 60 Thrifting Blogs on the Web ! * Disclosure: Thrifting Central Ga. is a blog that shows readers how they can buy the best for less. My website and blog reflect only my personal point of view. Disclaimer: This website is meant to inform, however you should use your best judgement on purchases etc. Nothing takes place of common sense.